Hem › Nyheter › Welcome to ASSU this evening! Welcome to ASSU this evening! Doors opens at 17.45 pm and their will be a special guest this evening! One of our members is back in town. 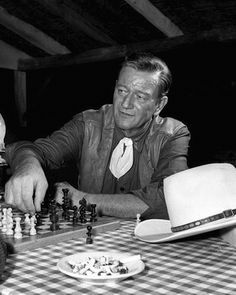 So do it like Cowboy, John Wayne and play some funky chess! ‹ This semesters Rating rockets in ASSU!